A poster for a sketch comedy show inspired by Greek mythology. An original illustration for an album design. A poster for a one-act play about a supernatural trivia night. A poster design for a multi-media sketch comedy show featuring live and pre-filmed videos. A logo design for a improvised musical comedy troupe. A poster design for a one-act comedy play about changing technologies in the modern world. A poster design for a romantic comedy play about the start of a new relationship. An illustration of a Canon camera done for a personal project. An original illustration created for bachelor party invitation. A poster for a musical retelling of Shakespeare Scottish play. A poster design for a one-act comedy play about a year in the life of an average Baby New Year. A sample spread for a DVD insert that includes original illustration and copywriting. A poster design for a one-act comedy about the pitfalls of getting involved in a network marketing scheme. A logo design for an iPhone video game review blog. A poster design for a musical about the history of Detroit. 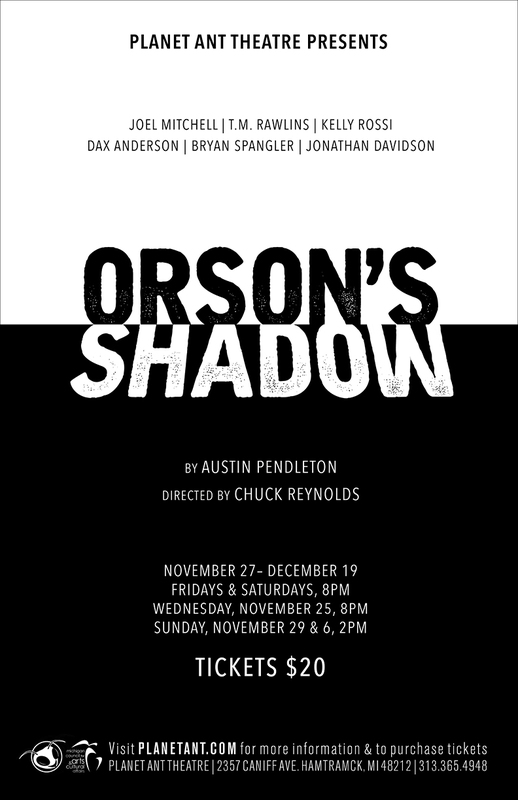 A poster design for a play about the life of Orson Wells and those who lived in his shadow. An original illustration created to promote a new improv comedy competition. 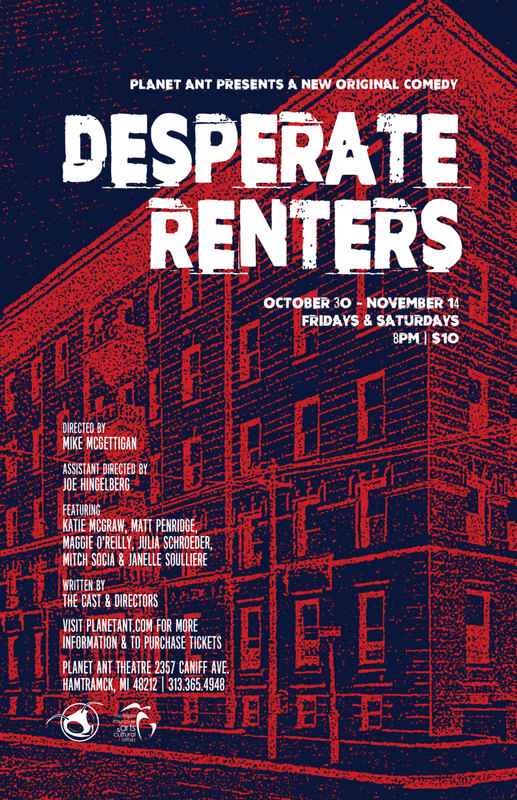 A poster design for a play about a group of apartment tenants who hide the death of their landlord in order to keep their rent low. 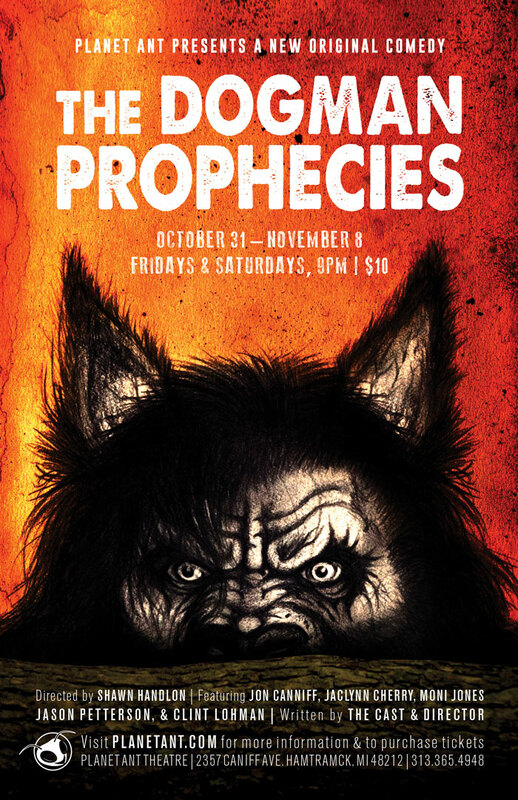 A poster for a play about the legend of the Dogman. A logo design for an improv comedy troupe. 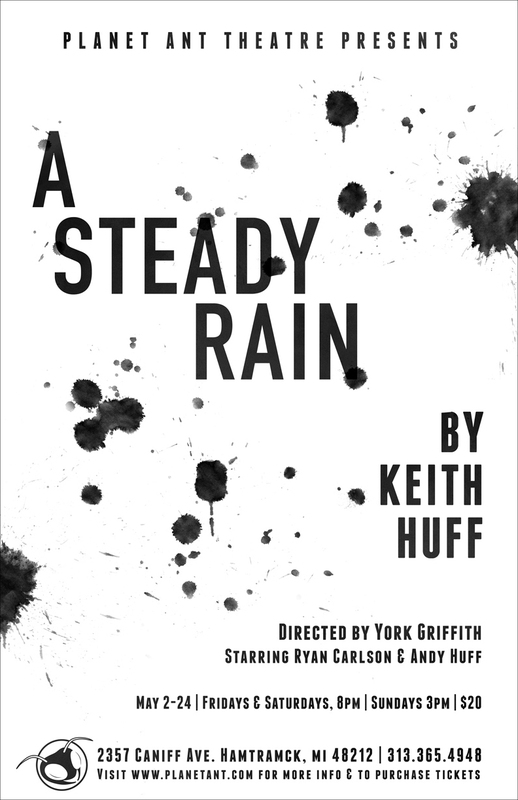 A poster design for a play about shifting loves over the course of time. A poster design for a play about a reclusive writer who has imagined relationships with her main characters. An illustration created for a Wayne State University campus safety manual. A poster design for a short play anthology featuring creepy and macabre stories ala Twilight Zone. A poster design for an annual improv comedy competion. 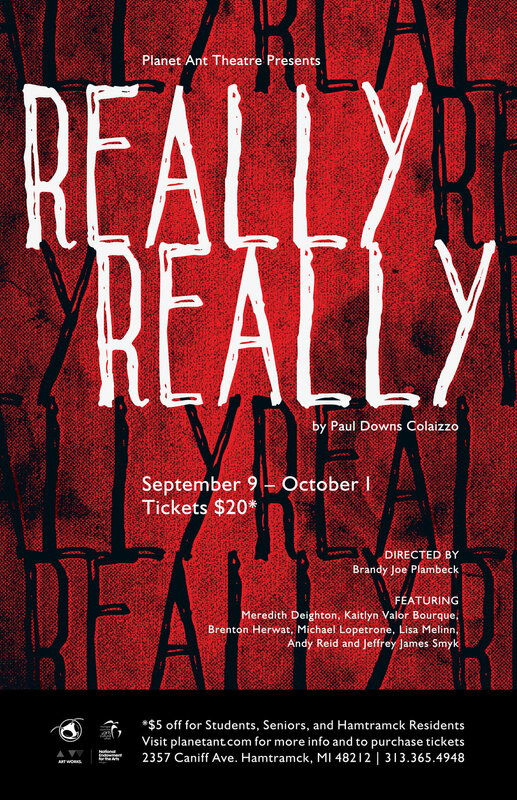 A poster design for a play about a pair of New York police officers attempting to balance their work and personal lives. An illustration for a story about a homeowners struggle to get rid of the pigeons living on his roof. 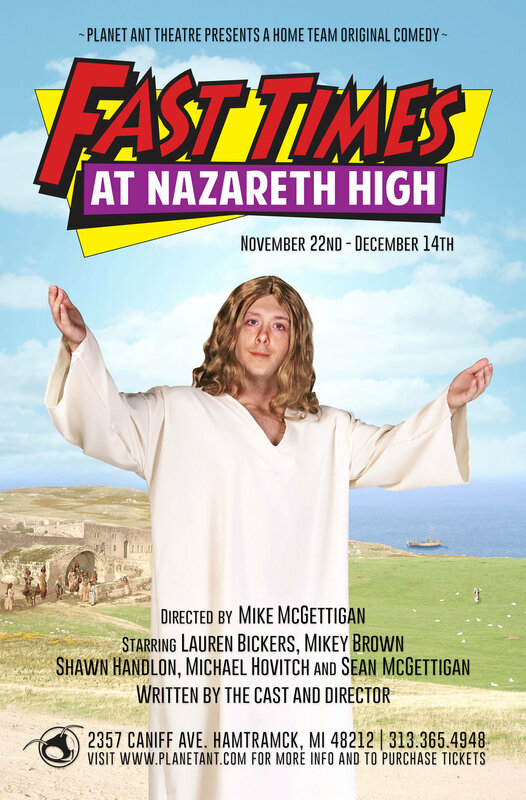 A poster for a comedic play about the life of Jesus if he had attended high school. 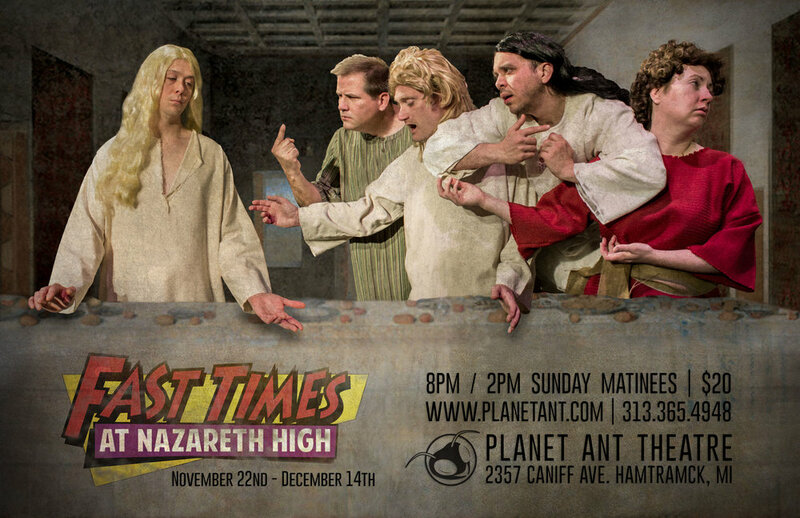 An alternate version of a poster for a comedic play about the life of Jesus if he had attended highschool. A poster design for a play inspired by the works of William Shakespeare. An illustration created to market an improv show featuring performances inspired by talk from local public figures. A play that takes place in a Hamtramck diner, revolving around the multicultural nature of the city. A flyer and illustration used to recruite troupes for an improv comedy competition. A poster design for a play about people fears of immigrant cultures they are unfamilier with. A logo created for an annual craft beer festival. A poster design for a show about a man who comes back from the dead with special powers after and tragic accident. A poster design for a musical about curing cancer, narrated by a a group of lab rats. A poster design for a one-act sketch comedy show. A poster design for a David Mamet play about the president having a moral dilemma around the annual tradition of pardoning turkeys for Thanksgiving. A logo design for a sketch comedy troupe. A poster design for a play about a woman who seeks therapy, fearing she'll be alone her whole life. A poster design for a play about the nature of truth. A poster design for a horror comedy show about the birth of a devil baby. A poster design to promote an annual improv comedy competition. 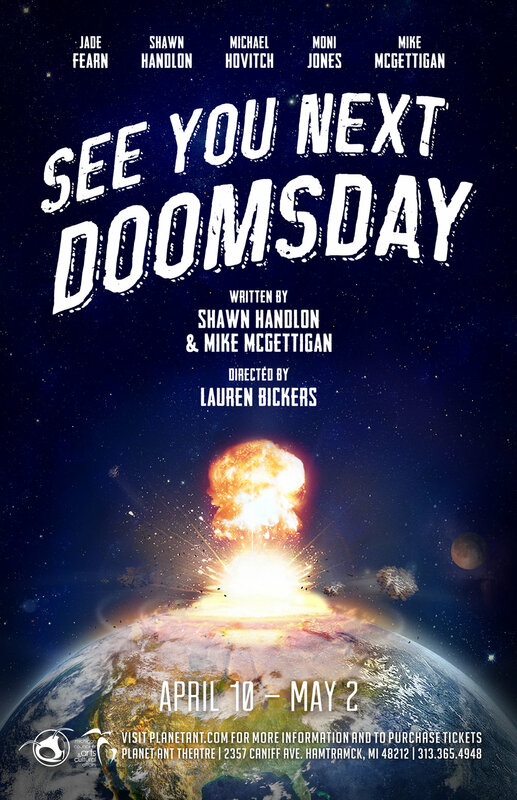 A poster design for a post-apocalyptic comedy play. A poster for a play about music and becoming an adult. A poster design for a musical comedy detailing the history of marijuana legalization in the United States. A poster design for a live storytelling event. A poster design for a monthly short video competition. A poster design for an annual holiday themed comedy show. A poster design for a bimonthly music and comedy event. A poster design created to advertise the schedule of a new annual improv tournament.